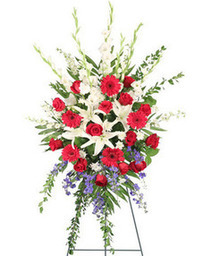 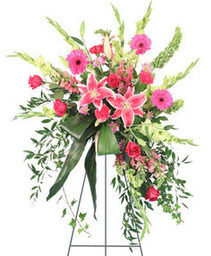 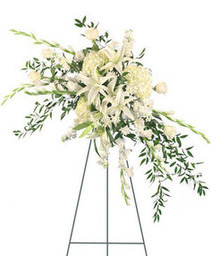 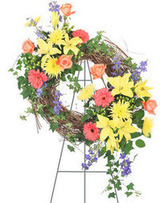 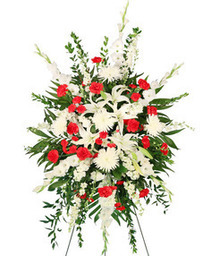 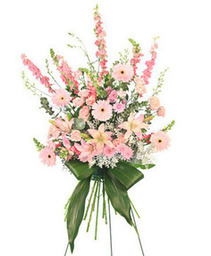 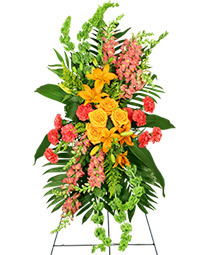 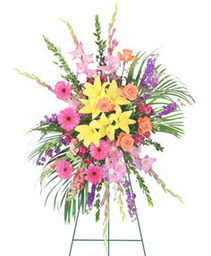 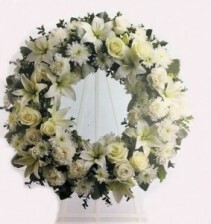 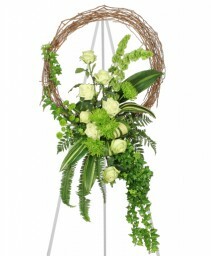 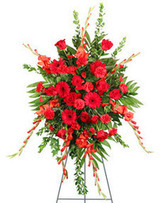 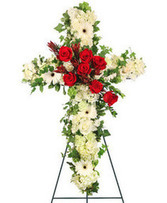 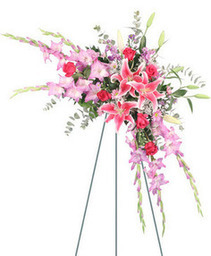 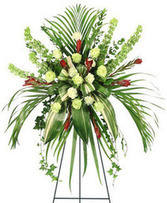 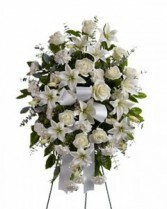 Soften the sorrow with this beautiful arrangement of white roses, lilies, or similar seasonal blooms in a popular standing easel spray design. A gracious tribute symbolizing hope, purity, and heavenly peace. 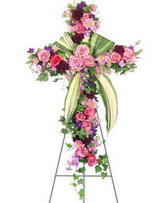 Appropriate for wakes, funerals, and memorial services.